If the death of a loved one occurs some distance from home, either within Australia or overseas, it is necessary to contact us at W Larcombe & Son Funerals immediately. We provide a repatriation service where we will handle the transferring of the deceased person from Sydney to centres all over Australia and the world. All necessary preparations and arrangements will be co-ordinated by W Larcombe & Son staff. We are also able to liaise with funeral directors in other cities to ensure the safe return of the deceased. If a loved one dies outside the immediate Central West or Western region, we will be able to arrange for the transportation of the deceased and attend to any legal requirements related to transporting the deceased back home. 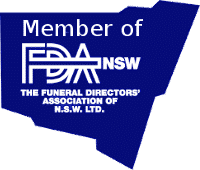 When someone dies overseas and interstate your funeral director should be notified immediately. W Larcombe & Son will be able to arrange for the transport of the deceased and attend to any statutory or customs requirements. In these circumstances there is usually an additional fee for the transportation of the deceased. Variables such as transportation of the deceased by air, land or sea, size and weight and distance to be travelled are all contributing factors to the cost of transporting the deceased. As you can imagine it is very difficult to give a fixed cost amount to loved ones however, we assure the families of the deceased person that we will liaise with them every step of the way to ensure not only the safe journey of their loved one to their resting place but also notify them of all costs incurred as soon as they come to hand. It is always advisable to check the finer details of any travel insurance policy in relation to the terms and conditions if a death should occur. Travel insurance includes a benefit payable if the policy holder dies. Preparation of all the necessary documents and permits. Preparation of the deceased’s remains, whether embalmed or cremated, for transport. Making arrangements with the airline and receiving funeral home. N.B. Should the death and funeral occur overseas or interstate, the funds in the Pre-Paid Funeral Plan will be paid to the estate.